The North Shore is a beautful place to fish. For most new anglers this fishery can be a bit intimidating. 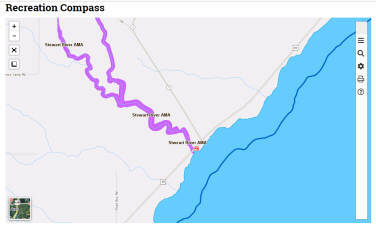 HWY 61 spans 150 miles to the canadian boarder crossing over nearly 60 rivers and streams. Where to start? When to go? What to use? Where are access points? These are all questions every angler has. 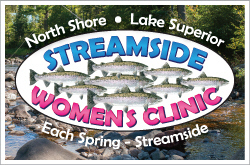 This clinic provides women who are interested in steelheading but may have limited experience, an opportunity to gain the perspective and knowledge needed to begin their own steelhead quest. 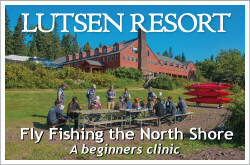 We developed this annual clinic in 2011 as way to teach new-to-the-sport anglers the fundamentals of fishing our North Shore streams and rivers, with a focus on steelhead and salmon. 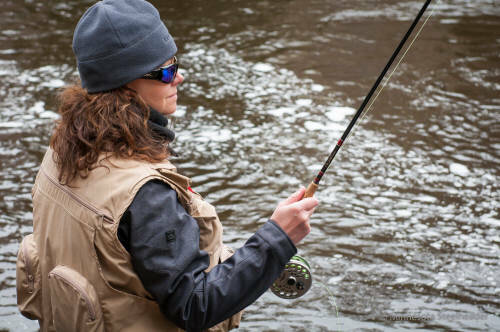 River flow is a vitally important factor for understanding fish movement in the grand scheme of steelhead fishing. Flow is arguably the single-most important variable when taken in the context of fish movement, just as temperatures dictate when fish begin to run, when they spawn, where they locate within a stream, and when they are the most vulnerable to bait or fly presentations. 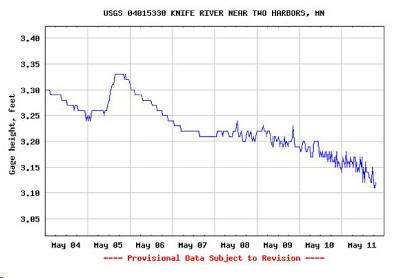 To understand the River flow charts and data, it is helpful to understand a few of the terms that are used on any chart you might encounter. Visit the link below for a full break down on river flow, then click the river image for daily flow data. 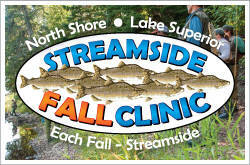 Section maps identifying North Shore trout streams and rivers. 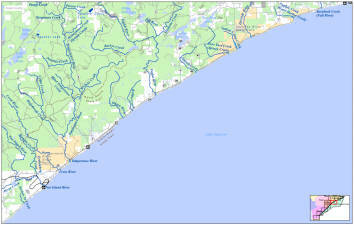 Identifying access easements, roads and trails along the North Shore.